The Year Was 1955, " Black Consciousness Was Aroused"
If you have an understanding of the struggle for black civil and human rights in the United States, you must acknowledge the importance of 1955. 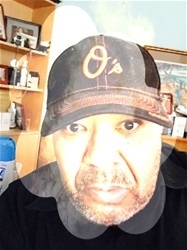 The Black Blogger continues the mission to satisfy the transference to our community who may not understand, nor, be aware of the historical importance of this year. 1955 was a year that the Supreme Court broke promises of true democracy for black Americans but courting the white supremacists' favor with four words, "with all deliberate speed". This encouraged states throughout this country to deter and ignore efforts for school desegregation for black children. So after the hope of a Supreme Court 1954 judicial decision provided some light at the end of oppression's tunnel, the court dimmed that light. On August 28, 1955, Black Americans were shaken and shook because of the vicious murder in Money, Mississippi of Emmitt Till. They knew little of the murder of poor Emmitt Till because murdering innocent black men, women, and even children was a commonplace occurrence in Mississippi. These murders weren't reported by the larger white media, so many were ignored. Yet, Emmitt Till's mother Mamie Till Bradley was not going to let her son's murder go unrecognized, or ignored. She allowed the Chicago's black residents where Emmitt Till lived before his fateful trip south and the nation's black and white citizens to see what hate delivered to Emmitt Till on August 28, 1955. Whoever glimpsed that body, whoever glimpsed that Jet Magazine photo was shaken and shook about the effects of when white hate, white terror and white bigotry revealed itself on the body of a 14-year-old Emmitt Till. After his white murderers walked away scotch-free laughing while Black Americans were shaken and shook in 1955. On December 1, 1955, in one split second, a mental decision was made not allow Jim Crow to continue to trample on her rights of citizenship any longer. Rosa Parks a wife, seamstress, community activist, decided that she would no longer stand when asked to stand, or sit when asked to sit or be silenced when racist actions demanded that she speak. On a bus in Montgomery, Alabama, Rosa Parks's soulful act of defiance awoke the soul of black citizens a southern city drenched with oppression. When asked to stand, Rosa Parks said no. She was tired, tired of the lies, the oppression, the insults, just plain tired, as all of black America was tired. In Black America, blacks souls were stirred because of Rosa Parks being tired. On December 5, 1955, a 26-year-old Baptist minister awoke a city whose souls were stirred by Rosa Park's act of defiance. At the time Martin Luther King Jr. was an unknown minister at the Dexter Avenue Church in Montgomery, Alabama. He was highly educated with impeccable speaking skills that were not yet recognized but on this evening Dr. King used those skills to demand that blacks in Montgomery, Alabama to straighten their backs because a man cannot ride you if you are standing tall. The historic speech was given that night at the Holt Avenue Baptist Church to an overflowing crowd of 5,000 people. The energy of the speech moved the entire black community to say "hell no" to taking Jim Crow's rules any longer. The energy from that night provided the fortitude that lasted 381 days until the United States Supreme Court decided that Rosa Park's was right to be tired because Montgomery's Bus Policy was indeed unconstitutional for black citizens in Montgomery, Alabama, as well as any other city with similar policies. The energy provided on December 5, 1955, fueled the civil rights movement that generated massive direct protest across the south led by that 26-year-old Baptist preacher who would go on to be a Nobel Peace Prize Winner, and have his statue placed on the Capitol Mall in Washington DC. Also in the Nation's Capitol is a statue of Rosa Parks in Congress for her defiant act on December 1, 1955. That is why 1955 is so important in the understanding of our black history. 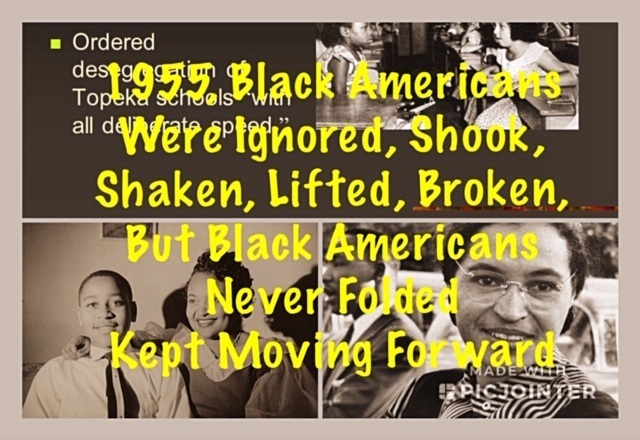 Blacks were denied justice, denied life, denied the rights of citizenship, denied educational opportunities but black Americans refused to fold, they continued to march forward to gain what was denied them.